If you’ve started your vehicle search and decided that the versatility of a crossover is what you’re looking for, there’s a broad and ever-expanding range of options out there to choose from. With continually advancing technology and several brands putting crossover products on the market, there’s lots of benefits to driving a crossover, but the two key features you’ll likely want to focus on are cost and fuel economy. We’ve rounded up 5 of the top crossovers for affordability and fuel-efficiency. 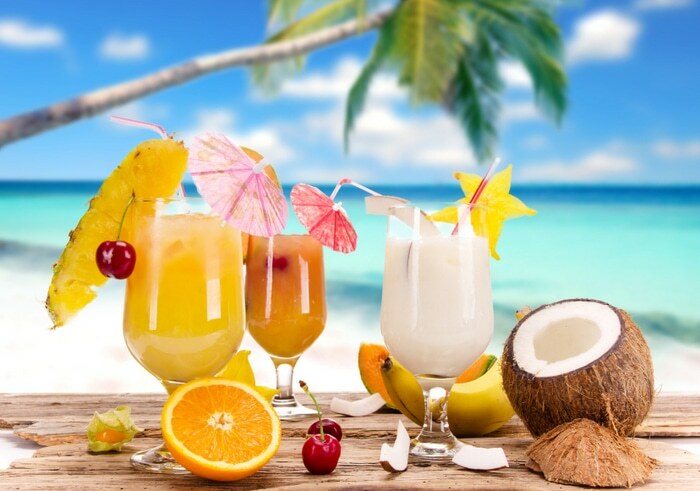 Consider your search narrowed. 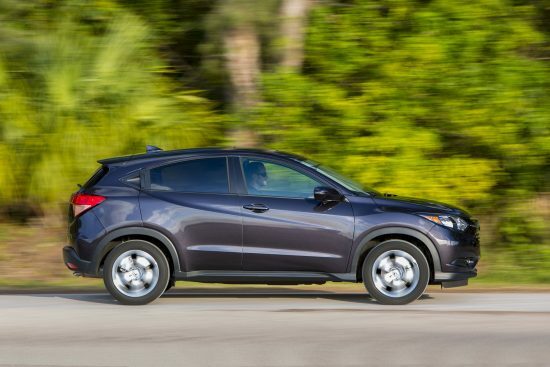 You’ll get both style and substance with the Honda HR-V. It is a beautiful looking machine with a gorgeous exterior and some unique options, but still comes standard with several key features. All models include the 1.8L I-4 141 hp engine, 4-wheel ABS, 2-speed CVT transmission with overdrive, automatic air conditioning, cruise control, driveline traction control and side seat mounted airbags, among other things. There are three configuration options for the interior to maximize the variability of cargo carrying and people moving beyond what most other crossovers offer. There are also a few flashy new aspects including the heated power side mirror to melt excess snow off the surface of the mirror if you live in colder climates, and the multi-reflector halogen headlights. The fuel economy averages 31 mpg and models start at around $21,000. 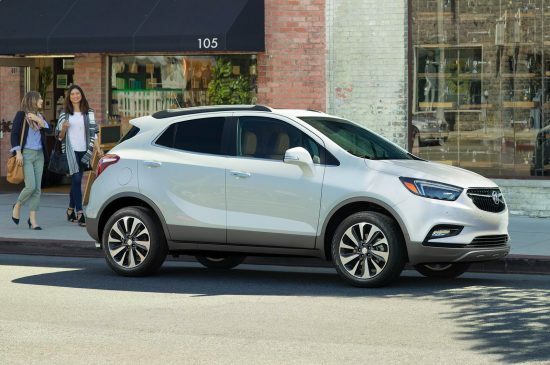 The Buick Encore is billed as a “Compact Luxury SUV” and with its spacious interior it feels like a class act of a vehicle. 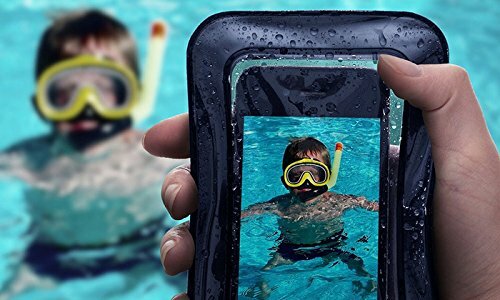 It scores well on safety features and was rated a 5-star overall vehicle score for safety from the NHTSA. The standard features include a 1.4L I-4 138hp intercooled turbo engine, 4-wheel ABS, automatic transmission with overdrive, airbag occupancy sensor and StabiliTrak electronic stability, as well as other features. It also boasts the signature Buick IntelliLink infotainment system with an 8-inch touch screen and has 4G LTE Wi-Fi Hotspot available. The Encore has an estimated highway mpg of 33 and a starting MSRP of $22,990. The NHTSA awarded the 2017 CX-3 with a five-star overall rating, and it comes with other notable safety options including automatic high-beam control and a lane departure warning system. Equipped with all the basic standard features like the other crossovers, Mazda has also sweetened the deal by lowering the price of its i-ACTIVSENSE safety package that includes brake assist, adaptive cruise control and rain-sensing wipers. 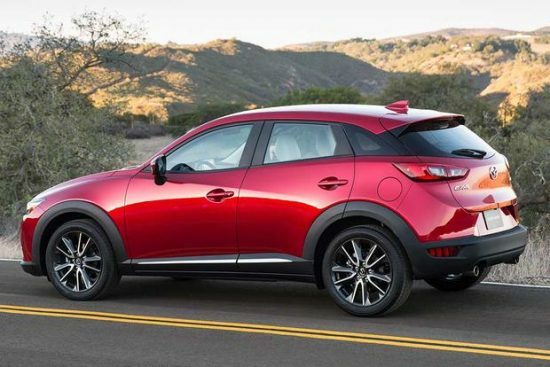 The CX-3 gets 29 mpg in the city, 34 mpg on the highway, and starts at $21,026. In 2016, the Rogue surpassed the Altima as Nissan’s best-selling vehicle. 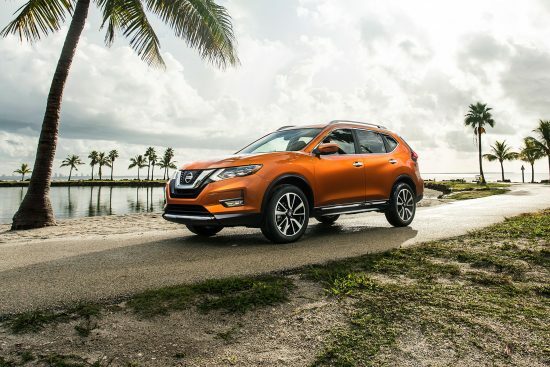 The Rogue achieves an average of 26 mpg in the city and 33 mpg on the highway, and stays competitively priced in part because of Nissan’s commitment to continuously-variable transmissions to boost economy. The Rogue is an attractive vehicle on both the interior and exterior. It boasts comfortable seats with quality materials and has the option for seven seats in its spacious configuration. 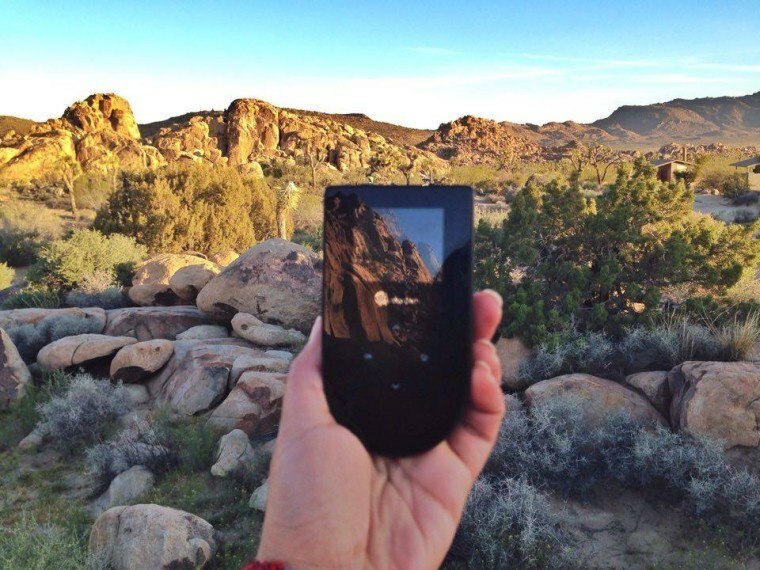 It’s competitively priced starting at $22,790. The Chevrolet Trax is a popular city vehicle with good standard features and excellent connectivity options. 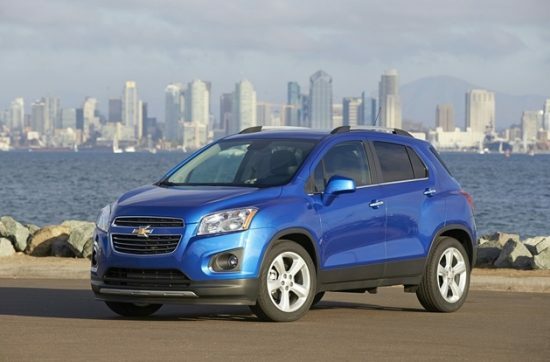 Starting around $21,884, the Trax is an economic option that is good for 25 mpg in the city and 32 mpg on the highway. The 2015 and 2016 models were highly ranked for safety, and the 2017 model has even more newly available active safety tech including Side Blind Zone Alert, Rear Cross Traffic Alert, Forward Collision Alert, and Lane Departure Warning. Connectivity options include 4G LTE, Apple CarPlay and Android Auto, and the Trax also now comes with keyless entry and push-button start. Check out these affordable, fuel-efficient options to choose your next crossover and combine the versatility of a traditional SUV with the fuel economy of a mid-size sedan and the maneuverability of a more compact vehicle.